This wrongful death case was filed by the surviving parents of a three-year-old boy in Wicomico County after he suffered a fatal infection following the removal of his adenoids and tonsils. It was filed in Health Claims Arbitration on May 5, 2017 and it is the 213th medical malpractice case filed in Maryland this year. A three-year-old boy went to the Delmarva Surgery Center for an elective adenotonsillectomy - removal of his adenoids and tonsils. The surgery was routine and uneventful, and the boy was discharged home with no bleeding seen in his throat. Later that evening at home, the boy had a fever, was lethargic and unable to retain fluids, and started vomiting blood. His mother took him to the emergency department at Peninsula Regional Medical Center (PMRC), where he was admitted with a diagnosis of post-tonsillar bleeding and dehydration. The boy had a white blood cell count of 46,100 (Normal is 5,500-14,000), including the presence of lymphocytes and segmented neutrophils. These alarming findings suggested a systemic infection. The defendant doctor made no attempt to contact the doctor who performed the boy's surgery earlier in the day. The boy continued to appear ill, limp, uncomfortable, pale, and withdrawn, with a temperature over 101°F. He was started on an IV drop, ordered to take nothing by mouth, and was given Tylenol by suppository. In the early morning, the second defendant doctor noted that he had a mild fever and a rash. She did not assess the boy's mouth because he was sleeping, but planned to reevaluate when he woke up. There is no documentation that suggest that she returned. The first defendant doctor saw the boy in the morning, starting him on clear liquids by mouth and ordering that he be discharged if he could handle the liquids. The defendant doctor did not investigate the cause of the boy's highly elevated white blood cell count, fever, or rash, nor did he order a repeat blood count or check to see if the boy was bleeding from his recent surgical site. The boy's his temperature rose, he was complained that he did not feel well, and was only able to drink one cup of water over a period of time and with encouragement. He was given three more doses of Tylenol throughout the day. At no point did either of the defendant doctors attempt to determine the cause of the boy's symptoms, repeat the blood count, or notify the doctor who performed the surgery. That evening, the boy was discharged home with instructions for his parents to follow up with his pediatrician in a few days. They were not told about his dangerously elevated white blood cell count. Two days later, the boy woke up in the early hours of the morning vomiting blood. He returned to PMRC by ambulance, where he suffered a cardiac arrest and a Code Blue was conducted. He was bleeding profusely from the surgical site in his throat, and he was in hypovolemic shock due to dehydration and significant blood loss. He was in disseminated intravascular coagulation, a condition that often occurs at the end stage of septic shock in which blood is unable to clot because of excessive bleeding. The defendant doctor was called to control the bleeding. During the cautery procedure in the emergency room, the cautery ignited an oxygen line and caused an explosion, melting the endotracheal tube in the boy's airway. As a result, the doctor was unable to remove the endotracheal tube. He did not report the explosion in the hospital record, a fact that is going to concern even a doctor friendly panel of jurors like you can expect in Wicomico County. Later that morning, the doctor who performed the initial surgery was finally notified. After rushing to the hospital, he was able to control the boy's bleeding. The boy was then transferred by helicopter to Children's National Medical Center in Washington D.C., but efforts to resuscitate him there were unsuccessful and he was pronounced dead. Cultures taken during the boy's autopsy grew an array of different bacteria. The explosion that melted the boy's endotracheal tube was at least the second explosion that had occurred at PRMC in a seven-month period. 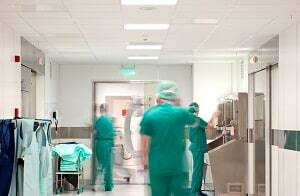 A 2013 analysis reports that electrocautery is the ignition source for 90% of operating room fires. According to the Mayo Clinic, early and aggressive treatment of sepsis greatly increases a patient's chance of survival. Sepsis is normally diagnosed lab tests, such as blood and urine tests, or imaging scans and treated with antibiotics or vasopressors. Patients with severe sepsis, like the three-year-old boy in this case, require close monitoring and supportive care. It seems criminal that the value of this case is less than $1 million on its best day. It is hard to make out what the claim is against Children's Medical Center on these facts. If Children's was responsible, it would be very confusing as to whether Maryland's wrongful death and survival statute would apply. Eastern Shore ENT & Allergy Associates, P.A.